In comparison UK 'Fruit Machines' Slots are much simpler, these basic rules are sourced from Winner Online, but it really is very simple. Our Slots Strategy offers some advice on how to maximise your return. Slots is the easiest casino game to learn and play. It's also one of the most fun and most popular. First you place your bet. Typically you can bet one, two or three coins. Some machines may let you bet up to five or more coins. Depending on the machine, the coins may be $.25, $1, $5 or other values. So if you bet three coins on a $1 machine, your bet is three dollars. Easy. Where the wheels stop determines if you win and how much. The goal is to get the symbols (cherries, numbers and so on) to line up on the payline in one of the winning combinations listed on the pay table. Each game will have its own pay table. For example, three bars in a row may pay 20 to 1. Three cherries in a row may pay 3 to 1. Some machines have three or five paylines, or pay on the diagonal. Check the casino rules for details. To get this information, you usually just click a "help" button. Some online casinos offer what are called "progressive jackpots". 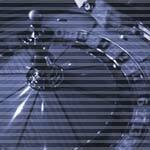 That means that a jackpot builds as more and more players play the casino's progressive machines. The first person to hit the winning combination (often 777) wins the total jackpot. 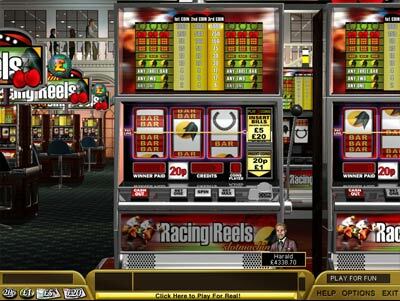 To be eligible for the jackpot you usually have to play the maximum number of coins. Then the jackpot resets to a lower value and starts to increase again as more people play.